In the dog days of summer, when there is little real hockey to talk, nothing stokes the embers of sports radio and the blogosphere like a report about an impending round of expansion coming to the NHL. Last night, news broke that the NHL was planning on adding as many as 4 new teams by 2017. The four areas supposedly the front-runners for new teams are Seattle, Toronto, Quebec City and Las Vegas. That's right - Las Vegas. That place in the desert with temperatures regularly in the triple digits. What was more unbelievable to me wasn't just the ridiculousness of Las Vegas being on this list, but the report that an expansion team coming to Vegas was "a done deal" and that Sin City along with Seattle would be the first two expansion franchises to be awarded - with the "possibility" of Quebec City and a second team in the Greater Toronto Area in the mix for 2017. Expansion itself - rather than relocating struggling franchises like Arizona or Florida - is all about the cash. The NHL owners could pocket as much as $1.4 billion in expansion fees if they were to add four new franchises. What's even sweeter for the owners, is that expansion fees are not considered "Hockey Related Revenue" so none of it has to be shared with those pesky players. I believe expansion is a fools' errand, and I have made the case before that the NHL should move money losing franchises in non-traditional hockey markets (like Arizona and Florida) to more traditional hockey markets where they can actually flourish (places like Quebec City and Seattle). Lots of writers and commentators are chiming in on why expansion is so dangerous as opposed to relocation so I won't cover that well-tilled ground. I instead write to take the position that if the NHL awards an expansion franchise to Las Vegas before Quebec City, then maybe its time for Canada to consider divorcing the NHL. Before the 2013 season started, during the fight over the future of the Coyotes, I laid out a compelling case for why it was time to pull the plug on the disastrous effort to put an NHL franchise in the middle of the desert - no matter how big the media market is in said desert. Despite losing more than $100 million dollars over five years, despite being last in the NHL in attendance, despite being valued the least valuable NHL franchise, and despite a bankruptcy that required the NHL to step in and take over the Coyotes, the powers that be in the NHL (Bettman and company) were hell bent on keeping the Coyotes in Arizona. Eventually, thanks to a slim one vote margin on the Glendale city council, Bettman and company succeeded and the Coyotes remain in Arizona - still losing money. One would think that after the disaster in the Arizona desert that even someone as stubborn as Gary Bettman would want to avoid making that mistake again - well if that's what one would believed one would be wrong. Instead of learning from the Arizona debacle, Bettman appears ready to double down on hockey in the desert. A franchise in Las Vegas would be a spectacle and not the kind of spectacle you would pay to see. A Las Vegas franchise would be more "Show Girls" than Cirque De Soleil. A transient population, an economy devastated by the bursting of the housing bubble, a city with no hockey history at all and a place that has a million other things to do besides going to watch a hockey game. If Las Vegas is awarded a franchise before Quebec City - a city with a state of art arena under construction and with a RABID hockey fan base - then maybe its time for the Canadian franchises in the NHL to tell Bettman enough is enough. Lets be honest, the NHL is running a welfare state - one in which, thanks to profit sharing, the profitable Canadian teams and the lucrative Canadian television deal - pay to keep a slew of fundamentally broken American franchises afloat. Forbes 2013 list of NHL franchise valuations shows that 3 of the 4 most valuable franchises in the NHL are all Canadian. Indeed, all 7 Canadian franchises were in the top 15, while the bottom 15 was all American franchises. Eleven U.S. franchises lost money, while not a single Canadian franchise was in the red. It's not surprising then that the Forbes story byline was, "The NHL's Financial Future Lies North of the U.S. Border." Could there be anything more insulting to Canadian hockey fans than the Commissioner snubbing Quebec City for Las Vegas? 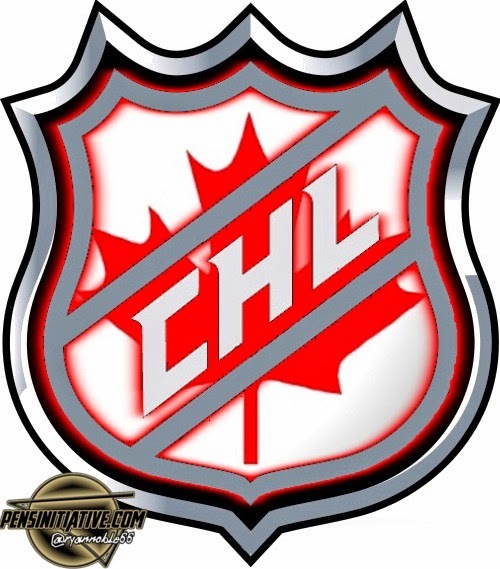 Is it crazy to think that Canadian teams could divorce the NHL and establish their own successful and lucrative league? Yeah it's crazy, but not as crazy as you would think. A 2010 study by the Mowat School of Public Policy and Governance at the University of Toronto concluded that Canada could support 12 NHL teams. In addition to the 7 current franchises, the Mowat Study concluded that Quebec City could support a franchise, as well as second franchises in Toronto, Vancouver and Montreal, and the final 12th franchise coming from southern Ontario (Hamilton or London for example). So if Canada could financially support 12 franchises, could you have a league with just 12 teams? Well, for the first 50 years the NHL operated with 12 or fewer clubs. The CFL - the Canadian Football League - just expanded to 9 teams. So, while 12 isn't a huge number, it's also certainly not an impossibly small number of teams to work with. Do I think Canadian teams will actually break away and form their own league? No, but I do think it is time that Gary Bettman and the powers that be in the NHL stop using Canadian franchises and fans as piggy banks to underwrite their grand dreams of building hockey in non-traditional markets. Hockey is a great sport - I believe the greatest on this planet. But its also a regional sport, one that flourishes in regions where it's actually cold enough for the essential ingredient to hockey - ice - to occur at some point during the year. The good news is that there are plenty of traditional hockey markets hungry for an NHL franchise that could also support one. Let's stop trying to make the NHL something that it isn't and lets start rewarding hockey fans - and putting a franchise in Quebec City rather than Las Vegas would certainly be a good start.